Once a sleepy fishing village, a new emerging place to surf and chill on the Pacific coast. A colonial style hotel with basic amenities. Not far from San Juan del Sur beach and overlooks the bay and the town. * Sailing option - highly recommended. The captain prepares gourmet meals while navigating the high seas. * Happy hours on Wednes and Fridays and worth a stop. Located on Central Ave of San Juan del Sur and front of the beach. 5-star amenities and rate starting at $171. Rate starting at $10 for a dorm bed. Private rooms offered. Beach shack located on Maderas Beach. Very popular with the surfers. Casual yet upscale bed & breakfast overlooking Yankee Beach, located south of San Juan del Sur. Boutique hotel walking distance from Maderas Beach and 20 minutes away from San Juan del Sur. A beautiful hotel situated in the center of San Juan del Sur. Located center of San Juan del Mar and 150 meters from the beach. Dorm room and 2 private rooms. 18 kilometers south of San Juan Del Mar, a resort designed for those prefer to immerse themeselves in nature. 2 lofty cabins for rent. Set along a deadend country road that opens up to Maderas and Majagual Beaches. A beautiful Spanish colonial hacienda off of Yankee Beach, south of San Juan del Sur Town. 150 meters from the beach and 300 meters from central park of San Juan del Sur, it makes an ideal place to enjoy the nature and nearby night life. It offers rustic cabins and houses. An organization located just south of San Juan del Sur that teaches the locals about self-sustainability and earth friendly practices. Stay for a couple of nights or a week. Option to volunteer and receive a discount. 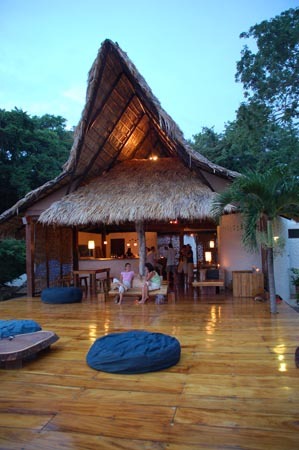 Off the grid, eco-friendly lodge located at Maderas Beach about 8 km north of San Juan del Sur. It offers treehouses and surf room style lodgings. Near Marsella Beach. Rental of cozy bungalows and cottages in a jungle. 3 wheeler recreational motorcycle tours on the beach. 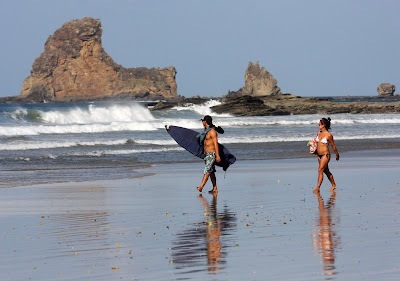 Located 5 miles north of San Juan del Sur, a great place to enjoy the nature or play a game of frisbee golf. Centrally located in San Juan del Sur. Complete spa services and massages. 20 kilometers south of San Juan, it is one of the main spots where endangered leatherback and Olive Ridley turtles lay eggs and are hatched. The refuge is open year round, the hatching can be seen between July and January. The eggs are layed from October - December. Located 12 kilometers north of San Juan del Sur, it is one of the most stunning bays on the coast and it has calmer water with short waves which makes it a ideal condition for swim and playing in the waves. * Hike up the bluff on the south side of the San Juan del Sur Beach to the lighthouse and William Walker's ruined fort. Located center of San Juan del Sur. Opens early and closes at 4pm. Closed on Sundays. Great place to shop for grocery but also to check out the local cuisines of snacks and lunch specials. Includes all night dancing as well. Artisan bread bakery. Located center of San Juan del Sur town. Nicaragua is the poorest nation in Central and South America. Despite its recent economic growth and prosperity, do not be deceived about the great deal of poverty and the hardship the people face. I do not want to come off preachy but please do take a look at the following list of nonprofit organizations operating in Nicaragua. 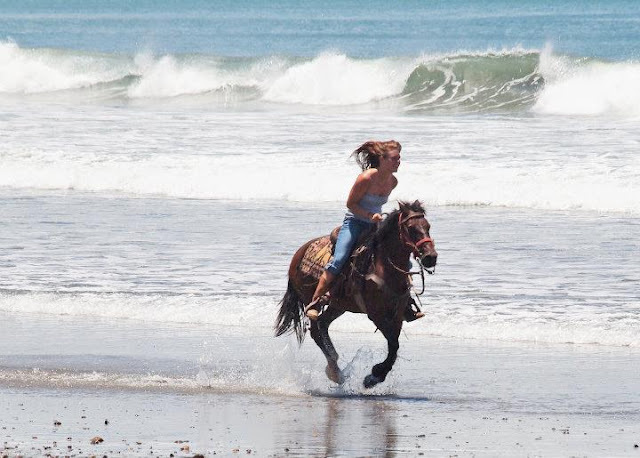 During your visit, please think about how much you are getting out of Nicaragua's rich heritage, breathtaking natural wonders and diverse animal kingdoms for you to enjoy. Then put a dollar/won/pound/euro/peso/yen/krone/krona value of how much each is personally worth to you and then give back to the communities by making donations. Great resource and information. Very helpful for ourplanned trip to San Juan Del Sur! THANK YOU!! !